Authors In The Press presents The First Seed by David Witman. A colorful and beautifully illustrated children’s book depicting an old oak tree (as modern academia) and a little boy who have an interesting conversation. The little boy is able to look up to this big oak tree and ask, “Where did you come from and how did you get to be so big?” The old oak tree answers cordially, and has the same answer back to the boy every time with the exception of different seeds the tree came from. Question after question, the little boy asks and asks, until he finds out where the original seed came from. With a series of answers, the last question that the little boy asks cannot be answered. 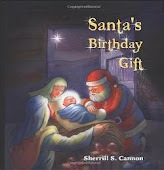 Parents can answer for the book to dispel naturalistic views and introduce that the first seed came from a eternal being, namely God, who created the very first seed by intelligent design. 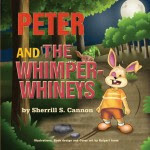 Helping children recognize the systematic problem with “conjecture,” this book makes children think. Pointing children to God as the Creator of everything contained in the Universe, the author dispels evolution (and naturalistic views) brought forth by Academia’s as the ultimate and true fact. 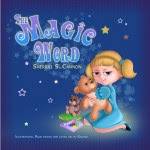 With wit and a curious little boy, the author teaches children that we didn’t just “magically evolve” from one thing into the next thing as our science books are teaching our children as fact. The author has given children just enough knowledge of plant life and DNA to help them understand God and Science, and that God created all DNA and plants. This is a wonderful story to share with children to make them think about our world, and help them understand that God created all things. Beautifully written. 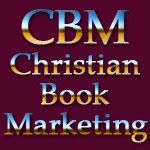 10.0 stars, CBM Christian Book Reviews. 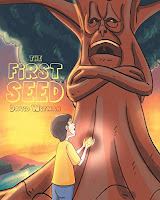 You may get your copy of The First Seed at Amazon or in Kindle as a download.